It was announced quite recently that referee Mark Clattenburg is to step down as a Premier League official and take his talent to Saudi Arabia. Mark is moving to the Arab state to take up a role as boss of their referees. It is a role that has been vacated by another former Premier League official Howard Webb. The difference between Howard,s role and the new one that Mark has taken up, is the fact that Mark will be expected to officiate at games as well. The Saudi Arabian,s could not have got a better guy to take up the role. It is without doubt in my opinion, that over the past couple of seasons Mark has been the best referee in the World. I would be able to count on one hand the amount of mistakes he has made during games and this is what makes him so special. The reason behind that last statement is because all officials make mistakes, but the top guys make the least. Last season Mark was the man who refereed the FA Cup Final, European Champions League Final and to cap a brilliant year he was also the man picked to take charge of the European Championship Final in France. These appointments were given to him as the men in charge of appointing referees to such games knew they would be safe in his hands. Let us not forget that he was also awarded the ultimate accolade when he was named World Referee of the year. It is a big disappointment for me to see Mark leave as I always loved to see him take charge of a game. The reason he is leaving is quite sad I believe, it has been reported that he has become disillusioned with the amount of support that Premier League officials are getting from their bosses and that has to be a right dig at Mike Reilly. 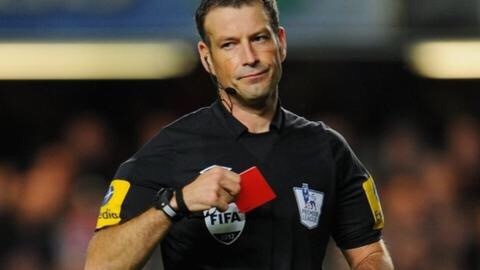 No matter how good a referee Mark Clattenburg is, he would be well advised to remember it is the Premier League that has helped him become the good official that he turned out to be, as he heads off to the Saudi Arabian sunshine. Now that the best referee in the Barclays Premier League is to move on, we have to look at who can replace him. Mike Reilly must be having sleepless nights as there is only one guy who comes anywhere near Mark and that is Martin Atkinson. There is no doubt that there will be a huge void left behind and it needs to be filled. Most people would agree with me that this season so far has been awful for officials and Kevin Friend was guilty of a disastrous display in the Manchester United and Bournemouth game. That game should have been an easy appointment but he had an awful performance. Mike Reilly needs to fast track someone up the ladder very fast so as controversies like the one at Old Trafford does not happen. Every top league needs at least four strong officials and sadly the Barclays Premier League falls way short on that criteria in my opinion. Between now and the end of this season I expect Martin Atkinson to get a lot of the top games, but this is not fair on him either as it leaves him open to huge criticism if things go wrong. It is now time that Mike Reilly and his team get their act together and get themselves a better quality of referee who can do it on a weekly basis. I will miss Mark Clattenburg refereeing but not like Mike Reilly will, he no longer has the safety of knowing that appointing Mark to a game will end up controversy free. I would like to take this opportunity to wish Clatts all the best for his future and I hope things will work out him in his new venture. It now falls on the guys that are left behind to step up to the plate and take on the mantle of top referee in the country. The way they have performed so far this season is poor as I mentioned earlier and it could be a long time before we see the quality that Mark Clattenburg brought to a game when he was in charge.